We love to used those things which are most comfortable and mostly fashionable, because every one like to move forward, So regarding this reason, I introduces a really best, stylish and cool furniture, The Cool LED Poolside Furniture. Its really look like a artificial Electronic Gadget, but it’s a cool and stylish furniture for all. 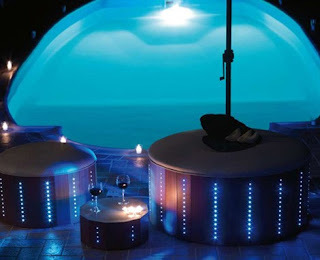 Atmospheric Poolside Furniture from Florastyle is a fashionable LED lighting furniture. 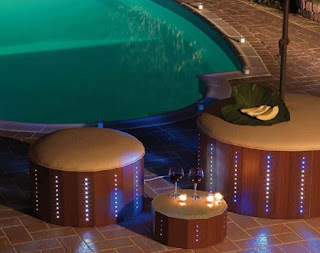 A artistic mode to light your poolside, garden or saloon region, that cool furniture will give any position a innovative twist. The rows of LED lights emit a pretty, cheerful glow that will keep your visitors merriment until the sun comes up. This Cool furniture is totally lavish stylish furniture which made from luxury equipment to reveal the best of Italian style. 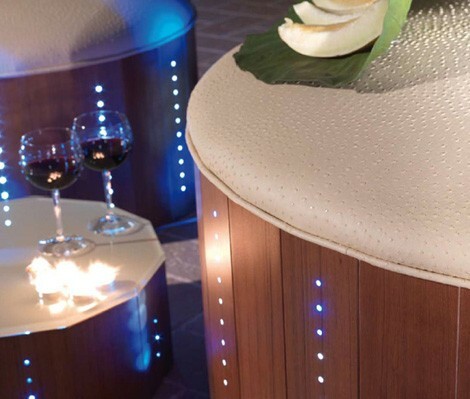 The natural wooden base of the poufs expose here are inlaid with LED lights and topped with an upholstered leather cushion. This cool furniture is available in different sizes and also available in different design and different colorful light. This stylish furniture looks great grouped in clusters. So friends visit Florastyle and make it just yours.